The Chipper Filter takes a single large point cloud and converts it into a set of smaller clouds, or chips. 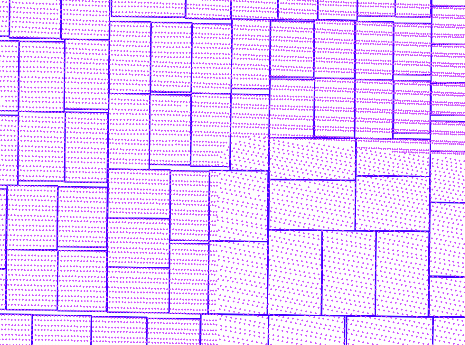 The chips are all spatially contiguous and non-overlapping, so the result is a an irregular tiling of the input data. Each chip will have approximately, but not exactly, the capacity point count specified. The PDAL split command utilizes the filters.chipper to split data by capacity. Before chipping, the points are all in one collection. 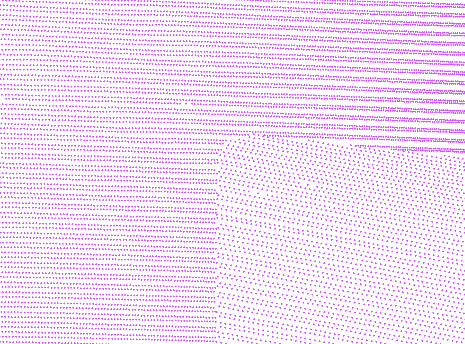 After chipping, the points are tiled into smaller contiguous chips. Chipping is usually applied to data read from files (which produce one large stream of points) before the points are written to a database (which prefer data segmented into smaller blocks).